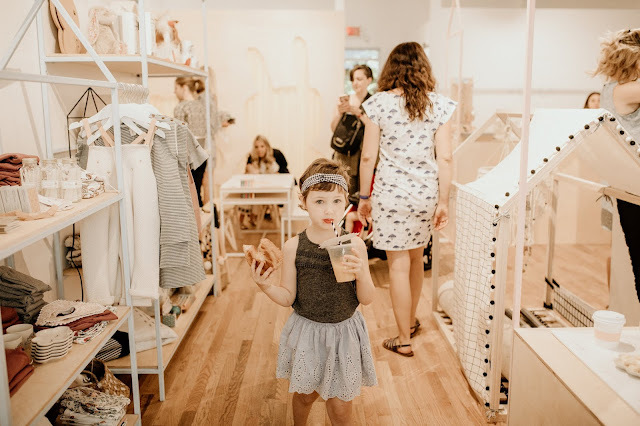 A few weeks ago, on Clover's first official day of summer vacation (my older two still had school for one more day), I was invited to the opening of Vestibule Mini, the kiddos version of Montreal design dynamo, Vestibule. It was the loveliest morning with my youngest girl and the shop was absolutely beautiful! Chloe ate breakfast right before we left to walk over to Vestibule Mini (nice that it's just down the street from us!) but that didn't stop her from eating basically every snack they has laid out at the shop, lol! I think she ate two croissants, grapes, cheese, and fresh orange juice. Oh to be four again! Vestibule Mini gifted me this beautiful Quebec vinyl print on wooden rails (only available in store) at the opening and I'm so in love! They have tons of sweet kid's room decor. I also picked up these magnetic wooden rails for hanging up the kids art work. 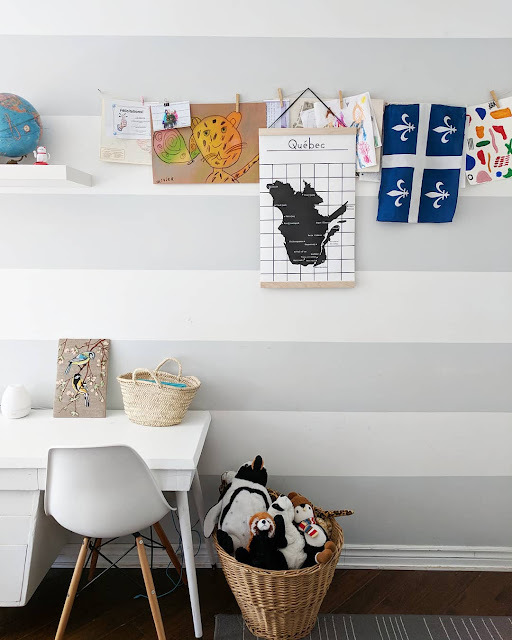 Just the perfect touch to a kid's oasis!